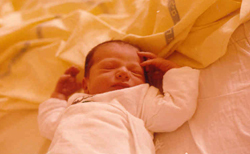 Tomer was born on November 14th, 1982 on Kibbutz Grofit near Eilat. Our first child, and the first grandson and great-grandson in the extended family, and later brother to his sister Yifat 19, and brothers Itai 15, Shachar 13 and Amit, aged 9. 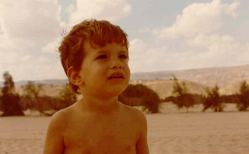 When Tomer was 4, the family moved to Moshav Moledet in the Jezreel Valley where he started his studies in the Motzkin school. From the start he showed a broad range of interests: geography, history, flight, philately, karate and ornithology. His greatest love, however, was basketball. The children of the fifth grade in Moshav Moledet went on to junior and senior high school in the Harod Valley. Tomer adjusted very well to his new class, demonstrating his qualities of leadership from very early on both socially and academically. During his Bar-Mitzvah year, he prepared a comprehensive project where he researched the roots of our family. He showed considerable interest in family history and genealogy. His grandparents, with whom he was very close, shared the family history with him. He summarized his project in the following words: "When I grow up, I want to be a pilot and play basketball for Maccabi Tel Aviv". On the 25th of November 1995, we celebrated Tomer's Bar Mitzvah. He read from the Torah in the synagogue of the moshav. This took place precisely three weeks after the murder of Prime Minister Yitzhak Rabin, an event which strongly affected Tomer and his class. After completing his final year of junior high school, Tomer and his friends participated in a junior leadership course. Ten enjoyable days of activities, training and meeting of youth from all over Israel provided a context for developing real leadership skills. Tomer chose to continue his studies in the sciences - with emphasis on mathematics, physics and chemistry - in which he excelled. 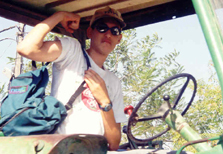 During his first year of high school, Tomer received his tractor driver's license. From then on, at every opportunity, there were endless trips. Tomer drove the tractor, towing the trailer that carried all of the others. The favorite destination was the Kochav Yarden lookout point. There, Tomer and his friends would sit for long hours around the campfire to discuss subjects of vital interest. Over the years, deep relations were built between all the members of his class in Moledet, and with his peers who were members of the kibbutzim in the region. Tomer was loved by all his friends who consulted with him on a broad range of subjects because of his sharp insight and cynical sense of humor. At the start of twelfth grade, Tomer was part of a delegation that visited Poland. 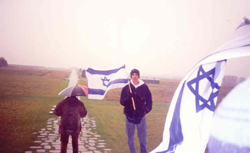 Tomer was proud as a Jew and Israeli, to carry the flag of Israel across the Polish countryside. 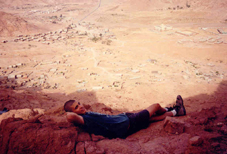 This trip left a deep and long lasting impression on Tomer, and changed his life. At his high school graduation party, Tomer had a leading role in the show: singing, dancing and acting. The theme song of the party was titled "Going towards the unknown"- a song he continued to sing all the time! 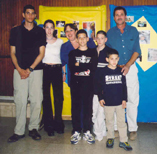 In July 2000, at the end of high school, Tomer and his friends traveled to Greece with a group from Kibbutz Gvat. The trip was paid for with money earned by working on the moshav during the year. This trip signified the freedom, innocence, boundless companionship and maturity of young Israelis before army service. The bond forged between the groups from Moshav Moledet and Kibbutz Gvat became a strong and tragic one. One month after returning from Greece, before his induction into the army, Tomer went on a two-week trip with his family. 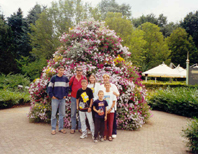 During this visit, the family toured Belgium and Holland and enjoyed luna-parks, rode horses, explored caves, took mountain railways and picnicked in nature, sailed and generally had fun. These were two weeks of tight bonding that left each of us with pleasurable memories, and deep experiences that we will never forget. Until his induction into the army, Tomer worked in the field crops on Moshav Moledet. He was an outstanding, energetic and devoted worker. In spite of the long working hours, Tomer did not forego activities with his friends. Coffee in each other's rooms, movies, hikes, visits to Kochva, going to pubs, parties, basketball and volleyball. Tomer was a real friend who helped, supported, and initiated, someone who could be counted on. In January 2001, Tomer was drafted into the Israel Air Force flight school. After a year in the course, he signed a release. Although he was offered attractive positions in the air force, he insisted on joining a combat unit, and joined the Nachal scouting platoon. Tomer was rapidly integrated into a crew that was already halfway through its training course. 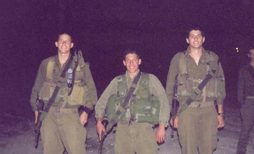 On the 14th of November 2002 - on his birthday, he completed the course and became a member of this Nachal combat unit. 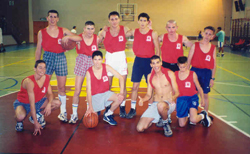 During his home leave, Tomer trained Moledet's junior basketball team. In 2003 he succeeded in bringing the team to the semi-finals!! 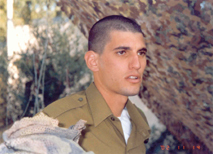 On the 10th of March 2003 during operations in the Hebron district, Tomer was killed in a gun battle with terrorists. His funeral was held on the 12th of March at the Moledet cemetery. Thousands of people from all over the country attended, including the Chief of Staff and the Commanding Officer of Northern Command - personal friends of the family. 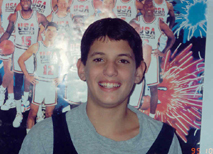 Doron Jamshi (the well known basketball star player) represented the Maccabi Tel Aviv basketball team, of which Tomer was a devoted fan. The sudden loss of Tomer shocked those close to him. He has left a tremendous void that will never be filled. Today, some eight months after his death, we are still feeling our way through the gloom. The only guiding light we have is that of Tomer - the strong light of life. He illuminates our way forward. We draw our strength to continue, from him, through enormous love and deep yearning.